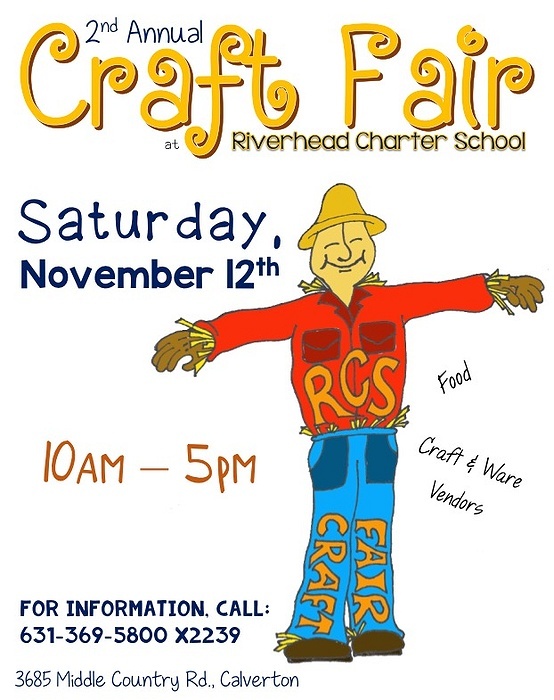 Subject: LongIsland.com - Your Name sent you Event details of "Fall Craft Fair at Riverhead Charter School"
Riverhead Charter School is excited to host our 2nd annual Craft Fair on November 12th, from 10am-5pm. Come support our students and start your holiday shopping! All fees from vendors go straight to events for our students. 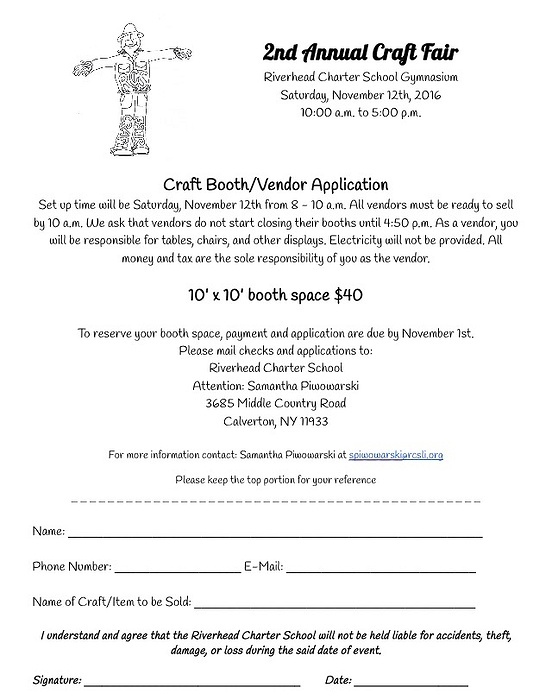 Vendors and shoppers wanted! For information, please e-mail spiwowarski@rcsli.org or call 369-5800.